The children’s ministry at LifeChangers Levin has a desire to see children encounter the Lord powerfully. We want to see our children awakened and stirred by the anointing of the Holy Spirit and to establish early in their lives a hunger for God’s presence. Through biblical teaching and fun crafts we aim to equip, resource and provide experiences for our little ones to fellowship with each other and with the Holy Spirit. We keep our children’s ministry fun, and know that God is building our team to provide a safe, fun and exciting experience for your young children. In addition to children’s church, we also have a creche for children ages 0-5. Creche and children’s church run during the school term – for more information on children’s church or creche, please see Alison. 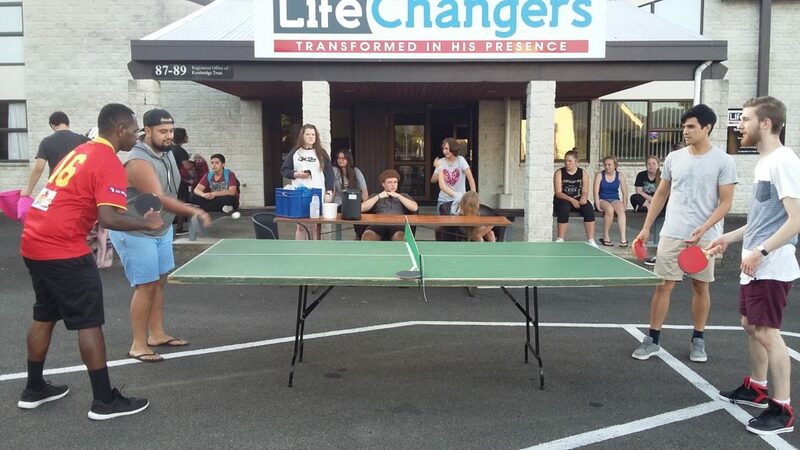 LifeChangers Youth is here to be an environment for young people to connect and grow together. Our purpose is to help young people in their journey to discover who God is and who he has created us to be. We are children of God! The meetings are on Friday nights starting at 7pm for ages 13-19. We host youth services, game nights, movie nights, sports tournaments and more awesome activities. As a group we also travel to youth conferences, which are always exciting experiences. If you want more info, please contact the Church. Connect Groups are small groups of people who meet once a fortnight in each other’s homes and are a great way to personalise fellowship with each other. A Connect Group format typically consists of Bible study and discussion, prayer and fellowship. Establishing Christ-centered friendships helps you to feel planted and connected to a church fellowship, and provide a safe place to learn more about the Lord through Bible-based learning, prayer and fellowship with each other and the Holy Spirit. ‘Caleb’s Strength’ meets fortnightly on friday afternoon at 1.30pm and is led by Beryl. If you would like to join a Connect Group – please call the church during office hours for address and direction information. As Ladies we love to get together. Our desire is to be faith filled women confident in our God and ourselves so that can bless our homes and our community. Every month we have an event sometimes in the daytime and sometimes at night. Variety is important, so we mix it up a little with Bible Studies, guest speakers, testimony nights and of course the odd dinner. We’re open to all ages and love it when you bring friends or family members, the more the merrier. Noble Character or virtue means strength, ability, efficiency, wealth, force, we want to equip and empower women to be all they can be, in short – women of substance. This group is all about men supporting and encouraging each other in their walk with Christ. Developing them so that in a moment of time they can meet needs greater than themselves through the enabling of the Holy Spirit. For more details contact the church. At LifeChangers Levin we believe that prayer is essentail to the life of the church. We are passionate about prayer. We believe that God wants to touch and transform Levin because we know that God is in the business of changing and transforming lives and communities. We are crying out to him, in line with 2 Chron 7: 14 to forgive our sin and heal our land and are praying for blessing and prosperity to once again touch the Horowhenua District. February is our month of prayer and fasting, where we spend every Wednesday night in the month in prayer and praise from 7.00 – 8.30? Each Sunday we meet in the auditorium at 9:45 to 10:15 as we engage in prophetic prayer based around His word and commit to prayer the ministries of the day. If you have any needs /people that you would like prayed for they are only a phone call away. The prayer chain is operating 7 days a week. We also receive updates of answered prayer (praisereports) on a regular basis and these are very encouraging. For prayer requests contact the church office and they will give you the contact details. We do have prayer request cards located in the church foyer. If you have a prayer need write it on the card and place it in the offering box in the rear of the auditorium and our prayer team will pray it through. An opportunity for women to gather together monthly and pray for the church and also personal prayer as required. 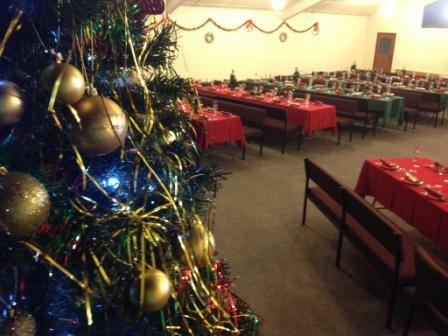 Every year Life Changers Church puts on a Christmas dinner that is openly available to those whom may live by themselves and would like to spend Christmas with others, those who may not have family around or can’t afford the expense that Christmas brings and people who may just be alone during the holiday period. 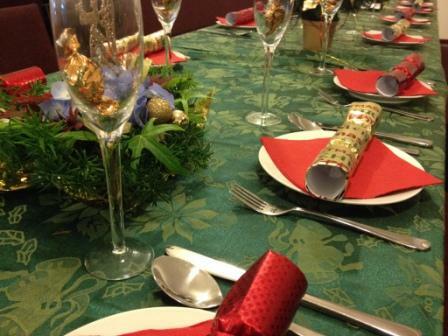 We provide a full Christmas dinner, with a warm, cheerful and social atmosphere. There is no charge for Christmas dinner. All that is asked is that people book via phone for catering purposes.